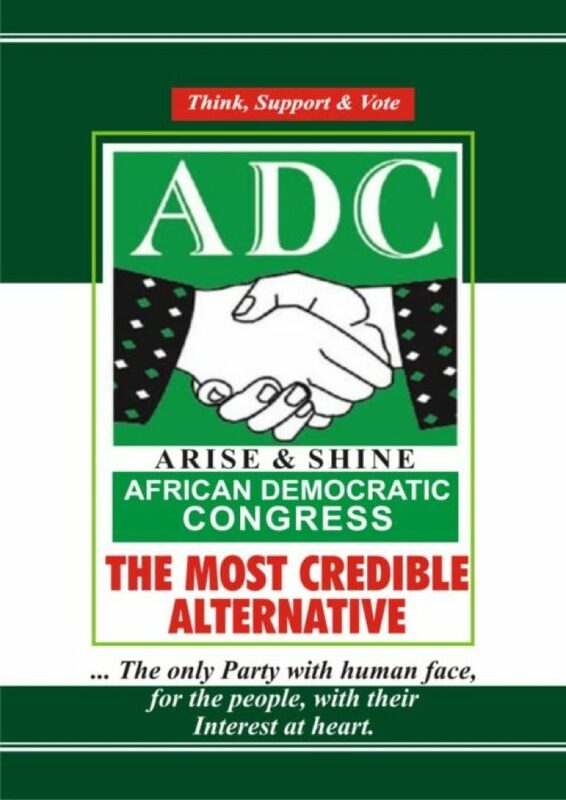 Alhaji Yahaya Hammanjulde, the Adamawa Chairman of African Democratic Congress (ADC), said the party had confirmed its grassroots support and certain of victory in 2019 general elections in the state. Hammanjulde in Yola said that the party, currently going round the state on consultation tour, was satisfied with the level of acceptance at the grassroots. He said this was particularly so in the case of the party’s candidates from Governorship to House of Assembly. “We have visited over 10 local government areas of the state for consultation led by former Gov. Murtala Nyako. He said reception accorded the party showed that the people were yearning for change of government in the state, through democratic process. Hammanjulde said the governorship candidate of the party,representing Adamawa Central Senatorial District, Sen. Abdul-Azeez Nyako, was committed to reviving such popular programmes. “As you know, Sen. Abdul-Azeez is a son to former governor Nyako, that is why we are going round with Nyako. “This serves as a guarantor that his son,if elected, will revive all those popular programmes and more. Hammanjulde said the party had also fielded popular people for all the Senatorial, House of Representatives and House of Assembly seats in the state. He also said that the party had taken steps to ensure that there was no rigging to rob it of its expected victory in all the elections in state.